Do you hear those Sleigh Bells jingling, ring ting tingling too?! Must be SANTA! 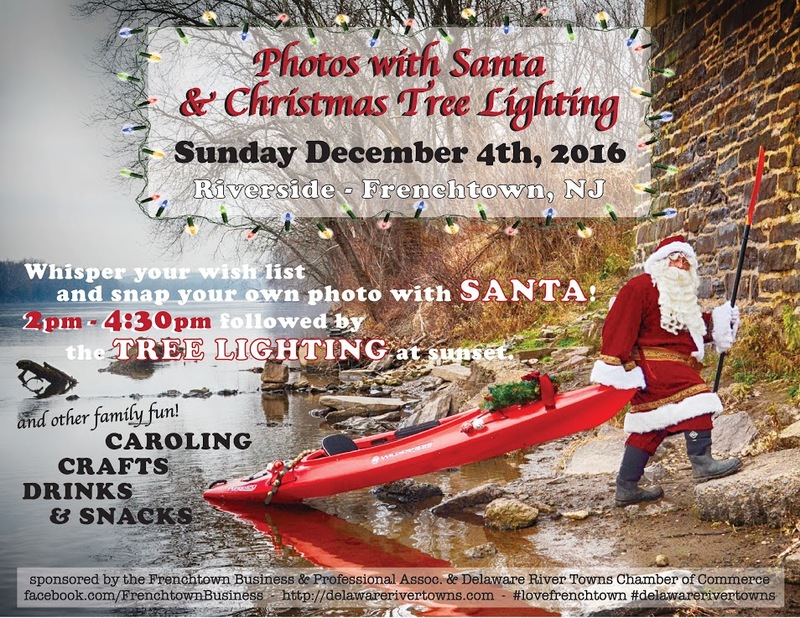 Arriving by boat on the banks of the Delaware in Frenchtown, good ol’ Saint Nick will be sitting for photos and to hear your wish list on Sunday December 4th from 2pm-5:30pm. There will be warm drinks, snacks and a craft table for kids to make ornaments to adorn our town tree! At sundown Santa must head back north, but we’ll have our ceremonial TREE LIGHTING and carolers to ring in the Holiday Season. Bring the family, stroll our beautiful river town, take home a photo and make it a tradition!